How to prepare. Wash vegetables and slice it into rings. 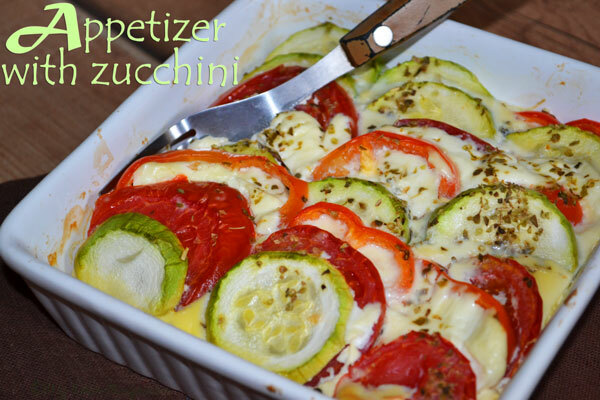 Add in a heat resistant bowl the vegetables in layers (zucchini, red peppers, cheese). Beat the eggs, mix it with 2 tbs of cheese, add seasoning and place in hot oven at 180 degrees for about 25-30 minutes. You can eat it hot, but it’s best to let it cool. 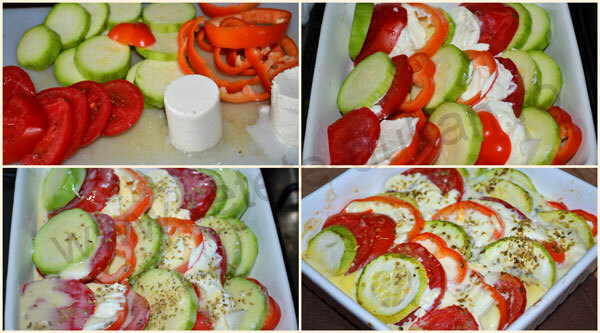 Optionally you can also add slices of ham between the vegetable.